When it comes to using Google Ads (formerly AdWords) as a manufacturer, Search Engine Land has some really great articles. One article I read recently, copied below, is about choosing the right match types as manufacturers using Google Ads. One thing missing, though, is some basic information on what to write in your search ad. Although there is no one way to write a good ad, below are some basic principles you can follow to help you get seen. Looking at the ad shown above, there are three primary parts: the headline (1 and 2), display URL, and the description. For the display URL, it’s important to tell the audience where they will be going in a clear and concise manner to elicit trust. So, although your landing page might be example.com/laser-metal-stamping/landing-page-adwords-3, your display URL could be example.com/metal-stamping. Lastly, there is an 80 character description. One thing that is essential to include in the description is a call to action that will tell the audience what they will get when they click. Pair this with more information about your product and you’ll have a solid description. Here’s an example for our Metal Stamping company. Pair this quick overview of writing your ad with the information below about match types and you’ll be on your way to a successful campaign. In a previous column, I addressed the challenges paid search advertising can present to industrial manufacturers who sell capabilities versus stock products. Another challenge is the Google Ads help files themselves. As an advertising platform, Google Ads is geared more to retailers — when a platform uses common retail products to illustrate keyword strategies, it’s often hard to see how the example relates to keywords for complex manufacturing capabilities. This confusion then carries over into keyword match type. “If you sell hats,” says one of the help files, then adding a “+women’s hats” will ensure your ads get shown. When you input your keywords into Google Ads, you need to select the keyword match type: Broad, Modified Broad, Phrase or Exact. Keyword match types help control how Google searches will trigger your ads. If you match too broadly, your ads may get triggered by irrelevant searches, which can lead to costly non-converting clicks. Match too tightly, and your ads may not trigger at all because of the dreaded “low search volume” message. All examples used are for illustrative purposes only. My agency has no relationship with any of the companies shown in the screen shots. Notice how the second ad reads, “Stamp your own jewelry & metal,” while the third ad is for metal stamp kits from Amazon. Using the print media analogy, Broad Match is the equivalent of putting an ad in the front section of a major urban newspaper, such as The Boston Globe. You’re reaching a wide audience with little segmentation. Let’s say your company makes die-cut metal parts. To segment your audience by application type, you can use modified broad match by placing a “+” sign in front of die-cut. Your keyword match would look like this: +die-cut metal stamping. The “+” sign tells Google to show your ads for broad match queries that include “metal stamping” plus this differentiator (Figure 2). Modified broad match allows you to segment your audience while still keeping relatively high impression volumes (important if you’re also trying to build exposure for your company and its capabilities). In print media, the equivalent of this type of matching would be placing an ad in the business section of The Boston Globe or in a trade publication that reaches multiple audience types. You still have broad reach, but you’re narrowing your audience. Phrase match gives a higher level of control. When you add quotation marks to a keyword, you’re telling Google to show your ads for a phrase – including close variations and any words before or after the phrase. For example, a company that makes machined or milled parts for aerospace applications could use the phrase match “machining aerospace.” Someone doing a search for “custom machining shops aerospace” might see the result in Figure 3. The print media analogy here would be running your ad in a special tech section of a trade publication. You’re narrowing your reach but getting more targeted. Exact match is the most restrictive match type. As the name suggests, your ad will only show if the user’s search query contains the exact keyword phrase or close variations thereof. Unless you’re in a well-known industry, an exact match strategy can be tough for industrial manufacturers because it is so restrictive — and the search volumes very low for many esoteric keywords. The analogy for exact match would be running your ad in a niche publication that targets your audience exactly — such as a tradeshow directory. By clearly understanding the types of keyword matches in Google Ads and how they work, you’ll achieve three things. One, you’ll save a lot of money — because if you’ve read this carefully, you’ll know that “broad match” can quickly eat through your budget, just as it would if you advertised in your region’s newspaper. Two, when you read through Google’s help files, you’ll have a better understanding of the concepts being communicated about keyword match types. Instead of clothing types, think industry or application type, for example. 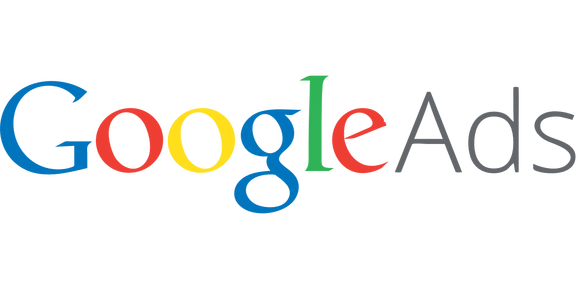 With Google Ads, you want to balance getting impression share (and thus more clicks) with reaching your target audience through careful modified broad match and phrase match options. And three, as you gain clarity, you’ll have more confidence to test match types to see what works for you.